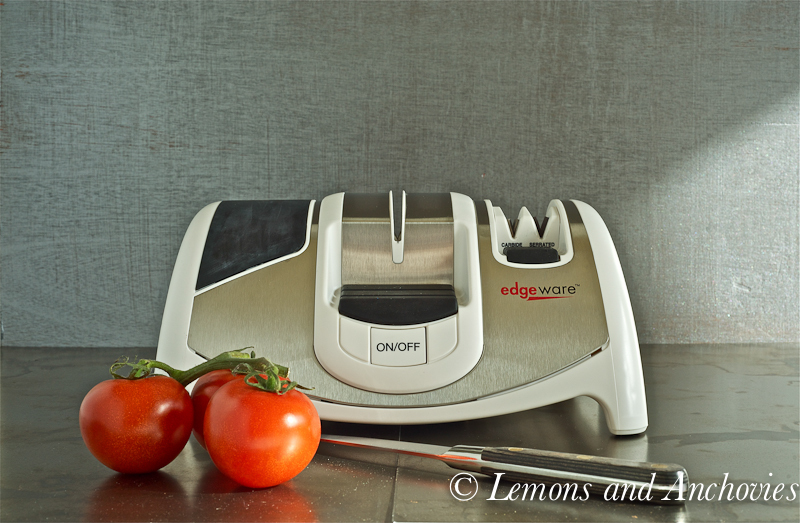 Not too long ago a fellow blogger listed the most commonly used descriptions for her recipes. 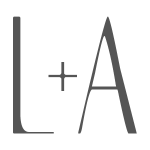 I don’t remember exactly what they were but I certainly know what I use often enough in this blog: simple and easy. Those two words are the cornerstone of the foods I share here. It’s not because I don’t like elaborately-prepared foods–I do; I just leave the preparation of them to restaurants. When time permits, usually on weekends, I will tackle homemade yeast bread, a cake or even homemade pasta but these days I can hardly find the time to make a loaf of quick bread. 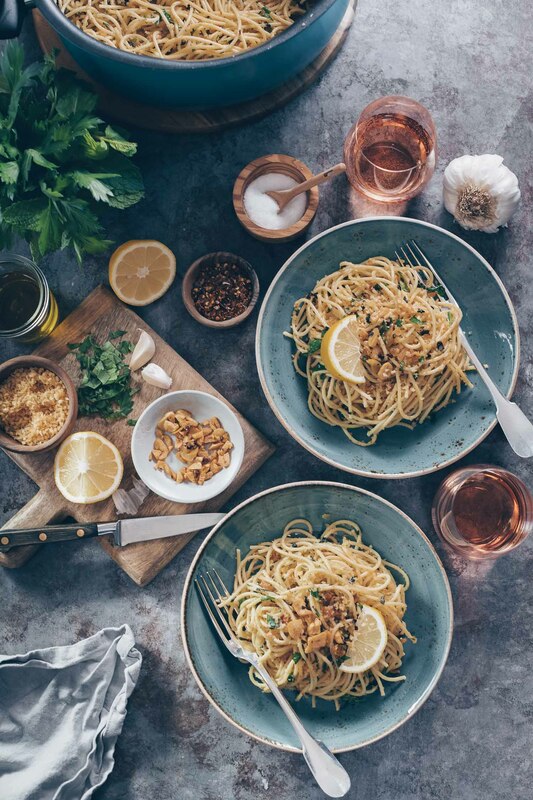 Fast is another quality I like in my home-cooked meals, especially on weeknights, but I’m not willing to compromise on quality even if it means saving time. Recently, the Kraft company invited me to participate in their Kraft Parmesan Italian Dinner program showing how a Sunday dinner can be transformed into a weeknight meal. I was asked to prepare two of their recipes and I chose their Marvelous Minestrone along with their Parmesan Bruschetta with Mushroom Ragú. The latter, the first dish I tried and which I will share next week, introduced me to a hearty, tasty, meatless ragú that took very little time to prepare This time I made a batch of their minestrone soup. Since I’m no stranger to making quick meals after a long workday, I selected this recipe almost as a challenge. 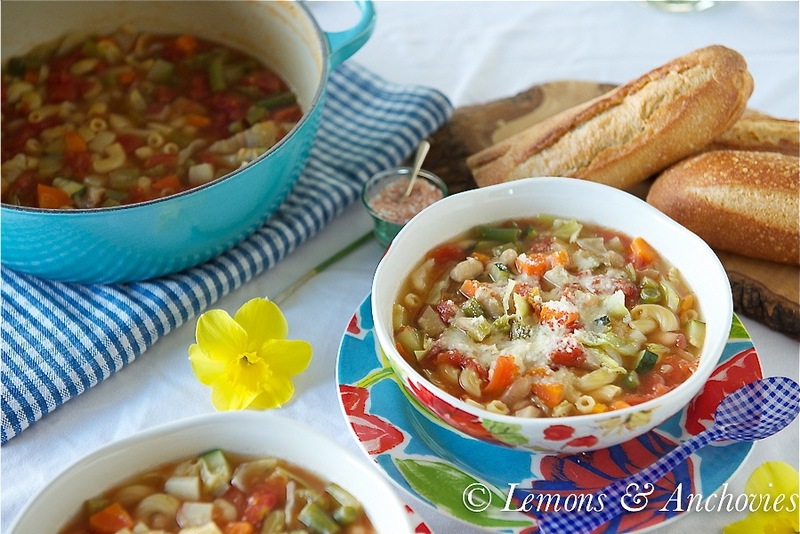 Not too long ago I shared here my Easy Minestrone Soup. Taking very little time from stove to table, I wondered how the Kraft recipe would fare against my already speedy version. You will find many versions of this classic Italian soup but their heart is the same: stock, tomatoes, beans, pasta, vegetables and cheese. I was pleased to see that my version and Kraft’s were very similar. Both use canned tomatoes and a combination of vegetables. Where I used the vegetables that are always in my refrigerator, Kraft suggested using a frozen Italian-style vegetable blend. This made sense, actually, and not only to save time but in my opinion the frozen variety can sometimes be more nutritious than the selections offered at some markets (vegetables are often frozen at their peak). I used dried herbs to add more flavor. Where the Kraft recipe saved more time is in a step I never even considered skipping. I usually sauté my vegetables before adding the remaining ingredients to the pot. Instead, the recipe instructed me to add all the ingredients (except the cheese) to the pot at the same time. I’ll be honest and say that I wasn’t confident that this soup would turn out to be flavorful at all. But I was wrong. This soup was fresh and clean tasting. Some of the beans dissolved into the stock to create body, the Hunt’s Diced Tomatoes provided a layer of flavor without being acidic even with the short cook time while the Kraft Grated Parmesan cheese sprinkled on top brought everything together. It’s been a long time since I’ve had Kraft Parmesan cheese and I was pleased to learn that it’s made with 100% cheese without any fillers. I’ve been to places where Parmigiano-Reggiano is not available and have been disappointed with pre-grated Parmesan cheese in plastic containers that I’ve found, too often, to be hard, dry and flavorless. This was not the case with Kraft Parmesan cheese so I was very happy to use it in this soup. Simple, easy, fast and I was proven wrong. 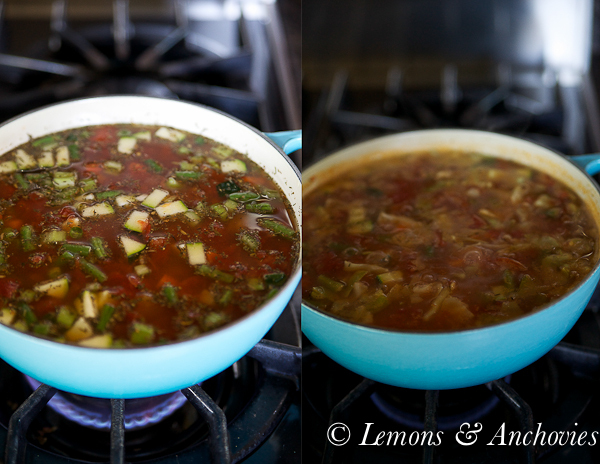 This is a quicker version of the minestrone soup I’ve shared before but I didn’t have to compromise flavor and quality at all–score for Kraft. * This soup is going to be the featured recipe for week 6 of Kraft’s Parmesan Italian Dinner program and will go live on their site on Monday, April 29. Please check out all the other recipes that will surely help to simplify your menu planning. 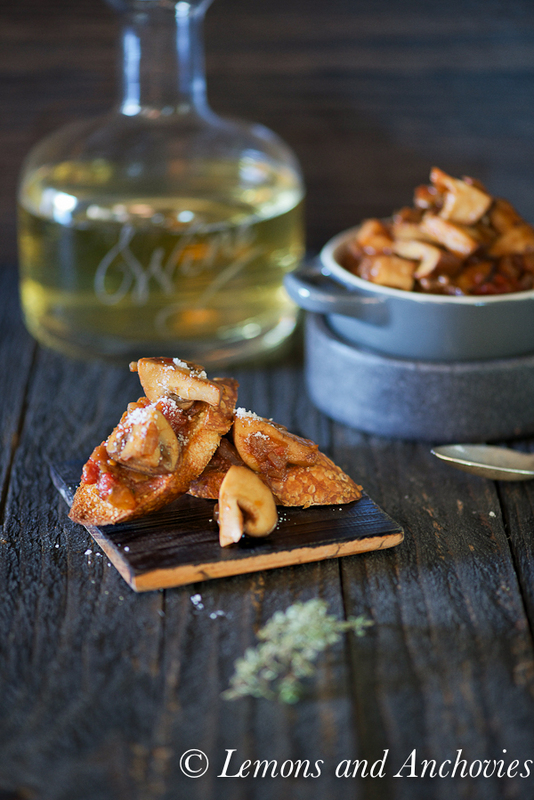 Stay tuned for the Bruschetta with Mushroom Ragú! 2. Place all the ingredients except the cheese in a large saucepan. Bring to a boil then simmer until the macaroni is tender, 6-8 minutes. Ladle into bowls and sprinkle cheese on top. Bring to a boil over medium-high heat. Reduce to medium and simmer 6-8 minutes or until macaroni is tender. Ladle soup into bowls and sprinkle with cheese. Great soup! Love quick weeknight meals. I am a big fan of Kraft, so it is good to see a simple recipe like this lend such great results! 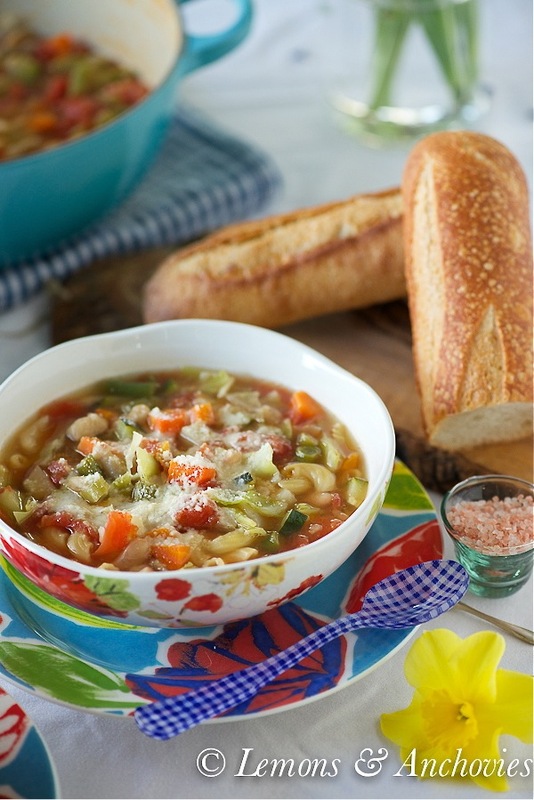 I love minestrone, yours looks so colorful and hearty! Love your colorful bowls :). 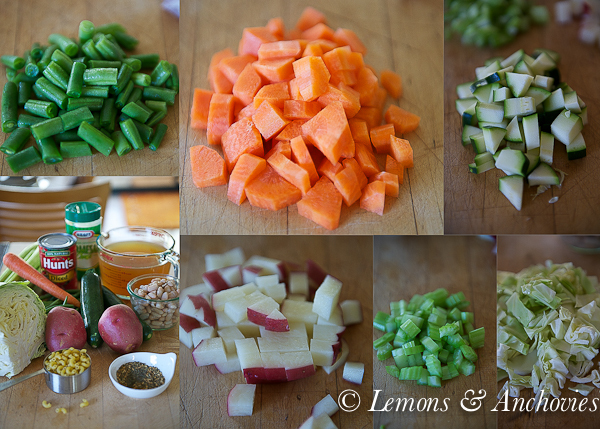 Minestrone is one of my favorite soups. I love the easiness and little effort it takes to make your delicious recipe. It looks so comforting! Congrats on the partnering up. Looks like a simply delicious soup. I love making soup for dinner and then eating the leftovers for days. So this is what you’ve been doing with all those beautiful vegetables I see on your instagram photos! This is a gorgeous bowl of minestrone, Jean! That looks like a tasty soup 🙂 I love your photos, they’re amazing! I’m not much of a soup person but my husband is. I’ll bookmark this for him! 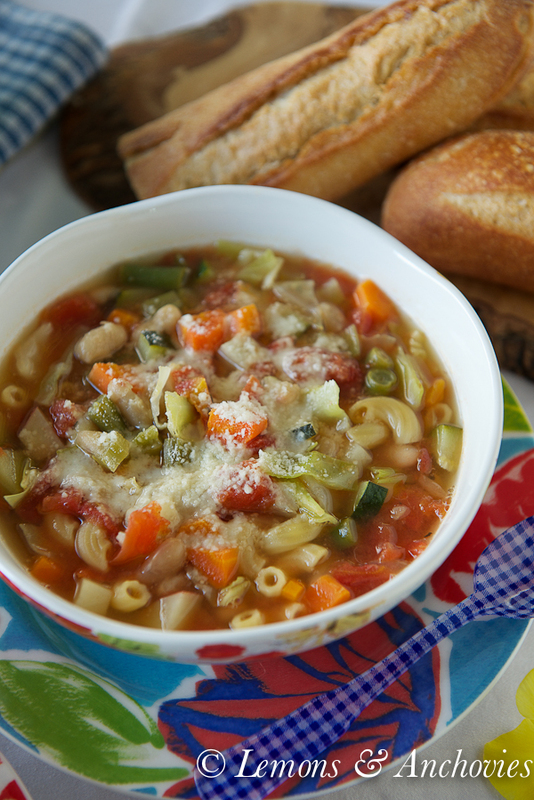 Nothing like a comforting bowl of minestrone soup, especially like your quick and easy weeknight version! Your soup sounds and looks delicious, wish I had a bowl right now!